Is the Miss Universe Pageant an Asset or Liability to Donald Trump? In 1996, Donald Trump acquired the Miss Universe Organization. At that time, the acquisition seemed to make a lot of sense. The Miss Universe pageant was being seen as outdated and cheesy and Mr. Trump’s expertise in branding – after all, he has made his name in turning around real estate properties – was seen as something that would revive the pageant. “Trump puts his hand in things that are very profitable and glamorous”, said one pageant expert at that time. Despite its dwindling audiences in developed countries, Miss Universe was still very popular in Latin America and Asia. Though already known in the United States at that time, Mr. Trump was relatively unrecognizable in the rest of the world. The pageant was supposed to endear Mr. Trump to the countries he planned to expand his businesses in. The partnership seemed to go in the right direction. The already popular Miss Universe pageant also became known as “Donald Trump’s beauty contest” around the world. Mr. Trump’s expertise in marketing luxury projects found its way in Miss Universe. In 2001, supermodels Elle Macpherson and Naomi Campbell, hosted the Miss Universe contest, in an effort to give the pageant a more upmarket vibe. Things began to change in 2004. Donald Trump appeared in the show “The Apprentice”. Continue reading Is the Miss Universe Pageant an Asset or Liability to Donald Trump? Posted on January 26, 2015 January 26, 2015 Categories Investment, Market Phenomenon, Other Activities, People, Social MediaTags Donald Trump, Doral, Florida, Miami, Miss Universe, Miss Universe 2014, NBC, Pageants, USA1 Comment on Is the Miss Universe Pageant an Asset or Liability to Donald Trump? Outsourcing is big business. The industry is currently estimated to be worth hundreds of billions of dollars. Companies in countries with high costs will outsource some of their processes in countries where labor and materials are cheaper yet dependable. But are there limits to what can or cannot be outsourced to another country? Can goods/ services of national and cultural importance be outsourced to foreign entities? Those questions have been part of a hot topic recently in the Philippines. 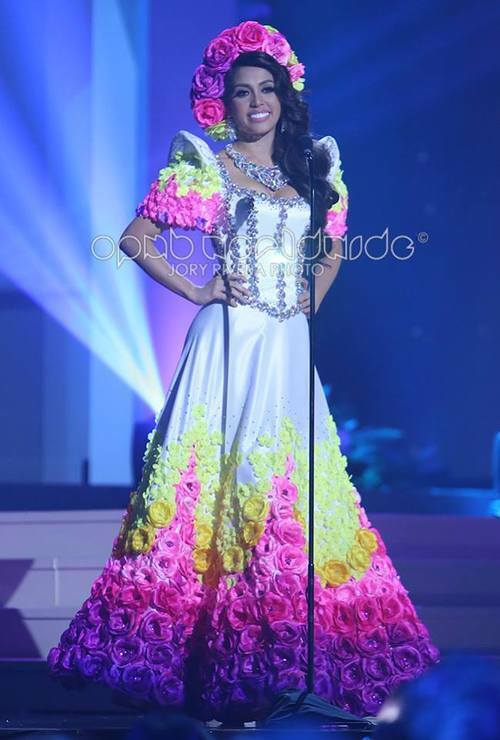 During the national costume presentation at the Miss Universe pageant in Doral Forida, Miss Phlippines, Mary Jean Lastimosa, wore a national costume that drew mostly negative comments on the internet. Since this is an investment related blog, it’s only fitting that I see opportunities where there is one. The 63rd Miss Universe will be held tonight in Florida (tomorrow morning Manila time), where Miss Universe 2014 will be crowned. It is already 2015, so it seems that there has been a slight delay. A lot of people do not care about pageants anymore, but many people still do – Filipinos and South Americans in particular. To reach out to that audience, I will be posting Miss Universe related investment information. Learn more about the actual pageant here. If you are in the area, see if you can still buy tickets here.